Football fans in Kerala have more reasons to cheer, as Kerala Blasters, will take the field a little early this time when they take on La Liga club, Girona FC and Australian club, Melbourne City FC, in pre-season friendlies at their home ground in Kochi. The matches will take place at the Jawaharlal Nehru Stadium from July 24 to July 29. 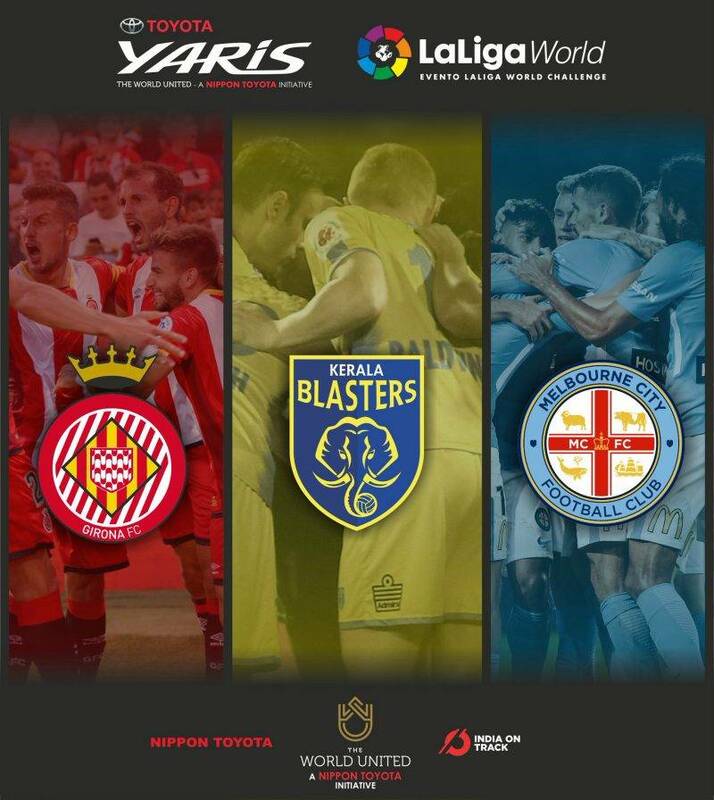 India’s first international football pre-season tournament, Toyota Yaris LaLiga World, will be held in Kochi with Indian Super League (ISL) club Kerala Blasters FC, Melbourne City FC and Girona FC from LaLiga locking horns in a three-way tournament. The three sides will play across five-day s at the Jawaharlal Nehru International Stadium in Kochi, starting on the 24th of July. The tournament has been created to showcase India as a pre-season football destination for clubs around the globe, with an aim to creating a calendar event at a grand scale. It will celebrate the growing love and passion for the game in the country and provide top-notch football action to Indian fans who crave for a world-class experience. This edition spans three continents and promises to be a truly international event. One of ISL’s biggest clubs, Kerala Blasters FC, will look to kick-start their pre-season playing these top foreign clubs at home. Australian club Melbourne City FC, managed by Warren Joyce, will come in after a third-placed finish in the hotly contested A-League, the best finish by the club in their history. Scott Munn, Melbourne City FC CEO said, “This is Melbourne City’s first ever visit to India, and the whole squad are incredibly excited about meeting the fans in Kochi and playing in front of such a passionate crowd. “High-quality opposition is an important part of our pre-season preparation, and we are delighted to be taking on both Kerala Blasters and our sister-club Girona FC in this brand new tournament.